The United Nations International Day in Support of Victims of Torture is held annually on 26 June. The day is dedicated to speak out against the crime of torture and to honor and support victims and survivors throughout the world and pay our respects to those who have endured the unimaginable and express our solidarity with, and support for, the hundreds of thousands of victims of torture and their family members throughout the world who endure such suffering. The day is also an opportunity to speak up against the unspeakable and reassert the obligation not only to prevent torture but to provide all torture victims with effective and prompt redress, compensation and appropriate social, psychological, medical and other forms of rehabilitation. The day was selected by the United Nations General Assembly for two reasons. First, on 26 June 1945, the United Nations Charter was signed during the midst of World War II – the first international instrument obliging UN members to respect and promote human rights. Second, 26 June 1987 was when the United Nations Convention against Torture and Other Cruel, Inhuman or Degrading Treatment or Punishment came into effect. Every year the IRCT monitors the campaign plans of organizations around the world and towards the end of the year publishes the 26 June Global Report where it describes the events held in commemoration of the day. According to the latest 26 June Global Report (2012), at least 100 organizations in 60 countries around the world commemorated the day with conferences, workshops, peaceful protest rallies, cultural and musical events. English novelist, poet, critic and editor Ford Madox Ford sadly died in Deauville, France, on 26 June 1939. He was born 17 December 1873. He used the name of Ford Madox Hueffer and in 1919 changed it to Ford Madox Ford (allegedly, in the aftermath of World War I because “Hueffer” sounded too German in honour of his grandfather, the Pre-Raphaelite painter Ford Madox Brown, whose biography he had written. In 1894 he married his school girlfriend Elsie Martindale and together they had two daughters Christina (born 1897) and Katharine (born 1900). Between 1918 and 1927 he lived with Stella Bowen, an Australian artist twenty years his junior. In 1920 they had a daughter, Julia Madox Ford. One of his most famous works is The Good Soldier (1915), a novel set just before World War I which chronicles the tragic lives of two “perfect couples” using intricate flashbacks. In the “Dedicatory Letter to Stella Ford”, his wife, that prefaces the novel, Ford reports that a friend pronounced The Good Soldier “the finest French novel in the English language!” Ford pronounced himself a “Tory mad about historic continuity” and believed the novelist’s function was to serve as the historian of his own time. Ford was involved in British war propaganda after the beginning of World War I. He worked for the War Propaganda Bureau, managed by C. F. G. Masterman, with other writers and scholars who were popular during that time, such as Arnold Bennett, G. K. Chesterton, John Galsworthy, Hilaire Belloc and Gilbert Murray. Ford wrote two propaganda books for Masterman, namely When Blood is Their Argument: An Analysis of Prussian Culture (1915), with the help of Richard Aldington, and Between St Dennis and St George: A Sketch of Three Civilizations (1915). After writing the two propaganda books, Ford enlisted at 41 years of age into the Welch Regiment on 30 July 1915, and was sent to France, His combat experiences and his previous propaganda activities inspired his tetralogy Parade’s End (1924–1928), set in England and on the Western Front before, during and after World War I.
Ford also wrote dozens of novels as well as essays, poetry, memoirs and literary criticism, and collaborated with Joseph Conrad on three novels, The Inheritors (1901), Romance (1903) and The Nature of a Crime (1924, although written much earlier). During the three to five years after this direct collaboration, Ford’s best known achievement was The Fifth Queen trilogy (1906–1908), historical novels based on the life of Katharine Howard, which Conrad termed, at the time, “the swan song of historical romance.”His poem,Antwerp (1915), was praised by T.S. Eliot as “the only good poem I have met with on the subject of the war”.Ford’s novel Ladies Whose Bright Eyes (1911, extensively revised in 1935) is, in a sense, the reverse of Twain’s novel A Connecticut Yankee in King Arthur’s Court. In 1908, he founded The English Review, in which he published works by Thomas Hardy, H. G. Wells, Joseph Conrad, Henry James,May Sinclair, John Galsworthy and William Butler Yeats, and gave debuts to Wyndham Lewis, D. H. Lawrence and Norman Douglas. In 1924, he founded The Transatlantic Review, a journal with great influence on modern literature. Staying with the artistic community in the Latin Quarter of Paris, he befriended James Joyce, Ernest Hemingway, Gertrude Stein, Ezra Pound[and Jean Rhys, all of whom he would publish (Ford is the model for the character Braddocks in Hemingway’s The Sun Also Rises). Ford says, “I helped Joseph Conrad, I helped Hemingway. I helped a dozen, a score of writers, and many of them have beaten me. I’m now an old man and I’ll die without making a name like Hemingway.” Hemingway devoted a chapter of his Parisian memoir A Moveable Feast to an encounter with Ford at a café in Paris during the early 1920s. During a trip to the United States, he was involved with Allen Tate, Caroline Gordon, Katherine Anne Porter and Robert Lowell. Ford was always a champion of new literature and literary experimentation. In 1929, he published The English Novel: From the Earliest Days to the Death of Joseph Conrad, a brisk and accessible overview of the history of English novels. He had an affair with Jean Rhys, which ended acrimoniously. Ford spent the last years of his life teaching at Olivet College in Michigan, and died in Deauville, France. However his journals, The English Review and The Transatlantic Review, were instrumental in the development of early 20th-century English literature. He is now remembered best for his publicationsThe Good Soldier (1915), the Parade’s End tetralogy (1924–28) and The Fifth Queentrilogy (1906–08). The Good Soldier is frequently included among the great literature of the 20th century, including the Modern Library 100 Best Novels, The Observer’s “100 Greatest Novels of All Time”, and The Guardian’s “1000 novels everyone must read”. Colin Greenwood, English bass player and songwriter (Radiohead) Was born 26 June 1969. He is the elder brother of guitarist Jonny Greenwood. Formed in 1985, Radiohead hail from Abingdon, Oxfordshire, and The band consists of Thom Yorke (lead vocals, guitar, piano), Jonny Greenwood (lead guitar, keyboards, other instruments), Colin Greenwood (bass), Phil Selway (drums, percussion) and Ed O’Brien (guitar, backing vocals). Radiohead released their debut single “Creep” in 1992. The song was initially unsuccessful, but it became a worldwide hit several months after the release of their debut album, Pablo Honey (1993). Radiohead’s popularity rose in the United Kingdom with the release of their second album, The Bends (1995). Radiohead’s third album, OK Computer (1997), propelled them to even greater international fame. Featuring an expansive sound and themes of modern alienation, OK Computer is often acclaimed as one of the landmark records of the 1990s. Kid A (2000) and Amnesiac (2001) marked an evolution in Radiohead’s musical style, as the group incorporated experimental electronic music, krautrock and jazz influences. Kid A, though somewhat polarizing at the time of its release, is now frequently recognized as one of the most important albums of the 2000s. Hail to the Thief (2003), a mix of piano and guitar driven rock, electronics and lyrics inspired by war, was the band’s final album for their major record label, EMI. Radiohead self-released their seventh album, In Rainbows (2007), as a digital download for which customers could set their own price, and later in physical form to critical and chart success. Radiohead’s eighth album, The King of Limbs (2011), was an exploration of rhythm and quieter textures, which the band released independently. Radiohead have sold more than 30 million albums worldwide, with the band’s work being placed highly in both listener polls and critics’ lists, they have the distinction of doing so in both the 1990s and 2000s. In 2005, Radiohead were ranked number 73 in Rolling Stone’s list of “The Greatest Artists of All Time”, while Jonny Greenwood and Ed O’Brien were both included in Rolling Stone’s list of greatest guitarists, and Thom Yorke in their list of greatest singers. In 2009, Rolling Stone readers voted the group the second best artist of the 2000’s. Radiohead’s latest album Heart Shaped Pool was released May 2016. Radiohead also headlined Glastonbury Festival 2017 on the Friday. Best known for being a member of The Clash and Big Audio Dynamite, the guitarist vocalist and songwriter Mick Jones was born 26 June 1955. Formed in 1976 as part of the original wave of British punk. The Clash’s music incorporated elements of reggae, ska, dub, funk, rap, dance, and rockabilly. 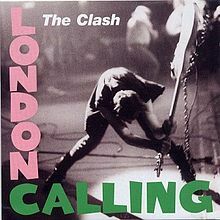 For most of their recording career, the Clash consisted of Joe Strummer (lead vocals, rhythm guitar), Mick Jones (lead guitar, vocals), Paul Simonon (bass guitar, vocals) and Nicky “Topper” Headon (drums, percussion). Headon left the group in 1982, and internal friction led to Jones’s departure the following year. The group continued with new members, but finally disbanded in early 1986. After being ousted from the Clash in 1983 and following a brief stint with the band General Public, Mick Jones formed a new band called Top Risk Action Company (T.R.A.C.) He recruited bassist Leo “E-Zee Kill” Williams, saxophone player John “Boy” Lennard (from Theatre of Hate), and ex-Clash drummer Nicky “Topper” Headon. Headon was quickly sacked for his heroin addiction and Lennard either left or was fired and the band folded. Although the band released no material (only demos were recorded which have yet to be officially released), T.R.A.C. can be seen as a forerunner to Big Audio Dynamite in much the same way London SS can be seen as an early incarnation of The Clash. Jones then formed Big Audio Dynamite with film director Don Letts (maker of The Punk Rock Movie, various Clash music videos, and later The Clash documentary Westway to the World), bassist Leo Williams (from T.R.A.C. ), drummer Greg Roberts, and keyboardist Dan Donovan. 1n 1985 the group’s debut, This Is Big Audio Dynamite, was released. The album’s cover shows the group as a four-piece (minus Donovan); the full group is pictured on the back cover.1986′s No. 10, Upping St. reunited Jones for one album with former Clash band-mate Joe Strummer, who was a co-producer of the album and co-writer of a number of its songs. The cover painting, based on a still taken from the Brian de Palma film “Scarface” was painted by Tim Jones. BAD supported U2 on their 1987 world tour, then released 1988′s Tighten Up, Vol. ’88 and 1989′s Megatop Phoenix. Tighten Up, Vol. 88 contained “Just Play Music!”, which was the second No. 1 single on Billboard’s Modern Rock Tracks. The band also recorded an unreleased track called “Keep off the Grass” which was a rock-style instrumental of the theme to the classic western film, The Magnificent Seven. A promo video can be seen on YouTube. In 1990, the original line-up wrote and recorded the song “Free” for the soundtrack to the movie Flashback. This would be the final song written with the original lineup, as the band would dissolve shortly after. “Bottom Line” from the first LP was remixed and used as the title track for Flashback. However this track was not included on the soundtrack. It can be found on the 12″ or by possible download. Later in 1990, Mick Jones debuted Big Audio Dynamite II and release the UK only album Kool-Aid. Dan Donovan remained in BAD II for one song, a re-working of the final BAD track “Free” renamed “Kickin’ In”. For 1990′s The Globe, only Jones remained from BAD, and the band was now called “Big Audio Dynamite II”. This new line-up featured two guitarists. The Globe featured the band’s most commercially successful single, “Rush” which hit No. 1 on both the US modern rock chart and the Australian National Aria Chart. “Innocent Child” and “The Globe” were also released as singles.BAD supported U2 on their ZooTV tour and released the live EP “On The Road Live ’92″. The band later recruited keyboardist Andre Shapps (co-producer of The Globe and Mick Jones’s cousin) and Michael “DJ Zonka” Custance as DJ and vocalist. Both appeared on the band’s 1994 album Higher Power, Don Letts and Mick Jones broached the idea of a Big Audio Dynamite reunion in 2011. Besides a Big Audio Dynamite reunion, There may be more Legacy Editions of the group’s albums after more unreleased material was found in the vaults. The reformation of the original line up of B.A.D was confirmed on 25 January 2011 with the announcement of a UK tour. Two Shepherd’s Bush Empire shows, a concert at Manchester Academy and a headline slot at Beautiful Days festival. Big Audio Dynamite have also played sets at the 2011 Outside Lands Music and Arts Festival, Coachella Valley Music and Arts Festival,Glastonbury Festival 2011, Lollapalooza, the Levellers festival, Beautiful Days,Bestival, V Festival, and Fuji Rock Festival. At twenty he worked as an office clerk and a builder’s labourer, and lived in London for a year before leaving for Vigo, northwest Spain, in the summer of 1935. From there he travelled across Spain as far as Almuñecar on the coast of Andalusia. Walking more often than not, he eked out a living by playing his violin. After the outbreak of the Spanish Civil War in July 1936 Lee was picked up by a British destroyer from Gibraltar, collecting marooned British subjects on the southern Spanish coast. He started to study for an art degree but returned to Spain in 1937 as an International Brigade volunteer. However his service in the Brigade was cut short by his epilepsy. These experiences were recounted in A Moment of War (1991), an austere memoir of his time as a volunteer in the Spanish Civil War. During this period, he also made documentary films for the GPO Film Unit (1939–40) and the Crown Film Unit (1941–43). From 1944 to 1946 and worked as the Publications Editor for the Ministry of Information. Lee’s first love was always poetry, though he was only moderately successful as a poet, Lee’s first poem appeared in The Sunday Referee in 1934. Another poem was published in Cyril Connolly’s Horizon in 1940 and his first volume of poems, The Sun My Monument, was launched in 1944. This was followed by The Bloom of Candles (1947) and My Many-coated Man (1955). Several poems written in the early 1940s reflect the atmosphere of the war, but also capture the beauty of the English countryside. However Lee’s most famous work was an autobiographical trilogy which consisted of Cider with Rosie (1959) which captured images of village life from a bygone era of innocence and simplicity , As I Walked Out One Midsummer Morning (1969), which deals with his leaving home for London and his first visit to Spain in 1935 and A Moment of War (1991). Which deals with his return to Spain in December 1937 to join the Republican International Brigades. Other works include A Rose for Winter, about a trip he made to Andalusia fifteen years after the Civil War; Two Women (1983), a story of Lee’s courtship and marriage with Kathy, daughter of Helen Garman; The Firstborn (1964), about the birth and childhood of their daughter Jessye; and I Can’t Stay Long (1975), a collection of occasional writing. Lee also wrote travel books, essays, a radio play, and short stories. Laurie Lee sadly passed away 3 May 1997 but his classic novels continue to be popular and remain required reading in many schools. They have also been adapted for screen, television and radio many times.